It's not an unheard of phenomenon for minor league teams to hold wacky themed nights in order to get more people in the seats, but the Triple-A Phillies affiliate Lehigh Valley Ironpigs took it to a whole 'nother level back in '09. 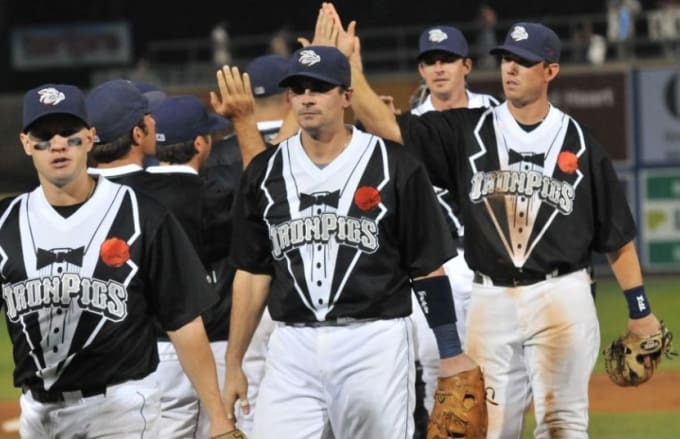 As part of their 2nd annual Ballpark Wedding Night, players donned tuxedo t-shirt uniforms, complete with bow ties and lapel flowers. Fans didn't know if they should root for the players or ask them to bring them a cocktail weenie.